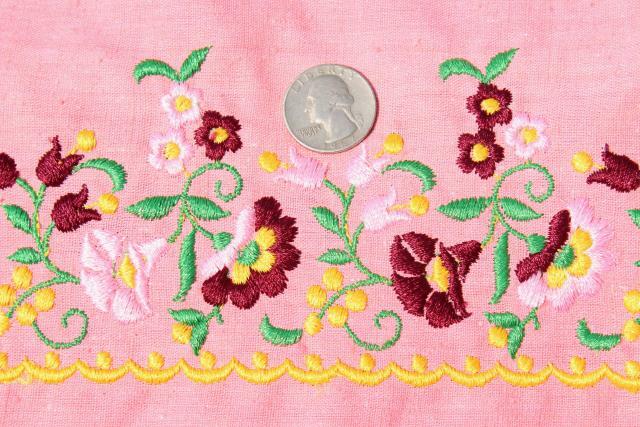 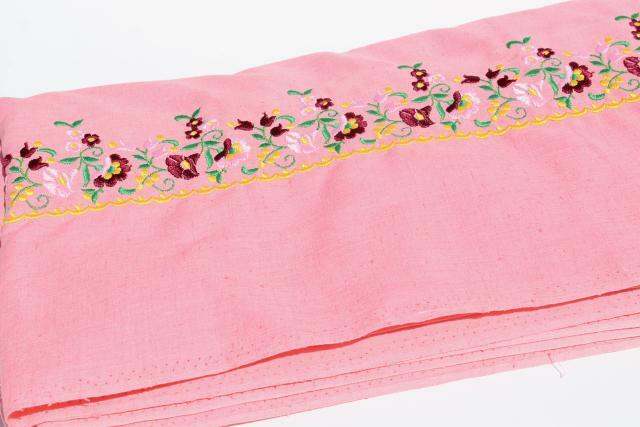 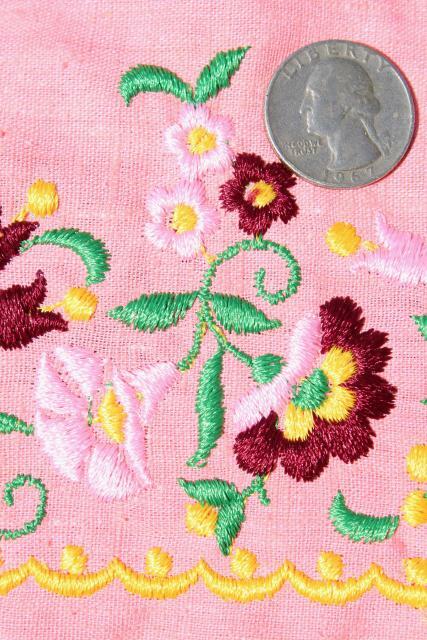 1960s - 70s vintage linen weave cotton fabric with heavy embroidered border design down the length of the fabric. 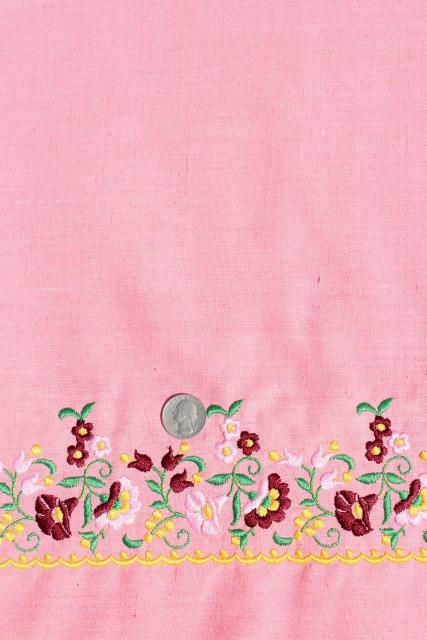 This is 6 yards long, fabric 44" wide. 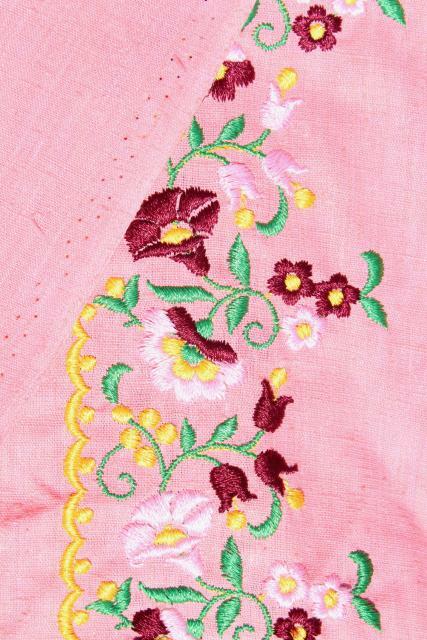 We love the coral and burgundy colors, so boho!